Are Lieutenant Warren and the heroes still at the top of their game during the fifth season of the Z Nation TV show on Syfy? As we all know, the Nielsen ratings typically play a big role in determining whether a TV show like Z Nation is cancelled or renewed for season six. Unfortunately, most of us do not live in Nielsen households. Because many viewers feel frustrated that their viewing habits and opinions aren’t considered, we’d like to offer you the chance to rate all of the Z Nation season five episodes for us here. A Syfy horror dramedy, Z Nation stars Kellita Smith, DJ Qualls, Keith Allan, Anastasia Baranova, Russell Hodgkinson, Nat Zang, Sydney Viengluang, Ramona Young, Natalie Jongjaroenlarp, and Grace Phipps. After a zombie virus infects the United States, a ragtag gang of everyday people bands together to end it..
What do you think? Which season four episodes of the Z Nation TV series do you rate as wonderful, terrible, or somewhere between? 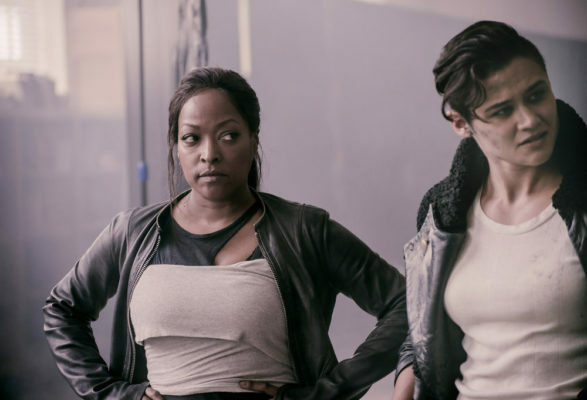 Should Syfy cancel or renew Z Nation for a sixth season? Don’t forget to vote, and share your thoughts, below. 12/22/18 update: Z Nation has been cancelled so there won’t be a sixth season. Details here. More about: Z Nation, Z Nation: canceled or renewed? I really love Z Nation. So this show needs to continue. You can ens it like this. It must keep going to the next chapter. That wouldn’t look right if its ended that way. I love Z Nation. We will misses Doc and Murphy. I always watching because I want to know what is the next happening to the people around in apocalypse. Please Renew Z Nation for Season 6! The fans love this show! More advertising would help a lot!